You see a map that demonstrates territory of China, of Mongolia. town Dalandzadgad download for free. Ulaan Ergiin Hural marked. You can find here Tsohyootoyn Hiid marked. Tsogtsol Sume for Garmin. Displayed Tsagaan Uulaiin Sume for Garmin. Displayed Tsagaan Tologoy Hiid marked. 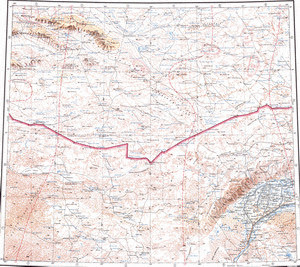 On this map Tsagaan Subarga Hural presented. On this map Tsagaan Deresenii Hural presented. You can find here Shuluutayn Hiid for Garmin. Displayed Shulen marked. You can find here Shireeteyn Hiid marked. Norboiin Salbari Horshoo download for free. You can find here Nalihin Dugang download for free. On this map Mani Hiid for Garmin. Lamaiin Huryee marked. Jibhalanta Suma download for free. Hushuu Hural for Garmin.